things remain in the shadows because we've placed them there out of fear or squeamishness." You have found an unusual looking doll on your doorstep or in your parking garage at work. You get a creepy feeling just looking at it. Come to think of it, you have had a streak of bad luck lately. Was this doll put there for you to find? Is someone sending you a message on the downlow? A person who wants to lay a trick on you can use any type of doll they wish. It does not have to be the stereotypical ugly Voodoo doll with some of your personal effects attached to it. Sometimes, it can be as innocent looking as a sweet baby doll that is the object of any little girl's affection. Do you wonder what a cursed Voodoo doll really looks like? Are there telltale signs that can let you know for sure a doll is hexed or fixed? 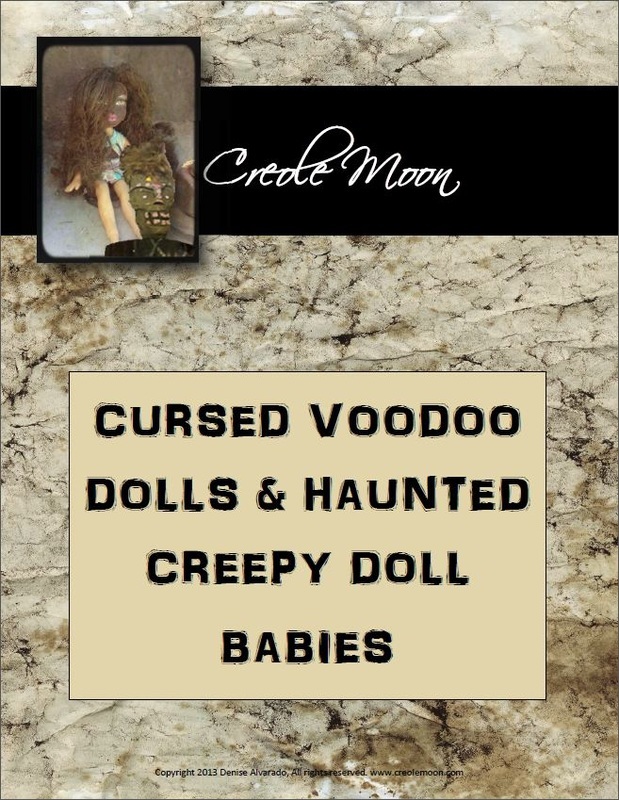 Download our complimentary guide to Cursed Voodoo Dolls and Haunted Creepy Doll Babies to learn how to identify dolls that have been fixed or cursed and what to do about it. If you don't feel confident about getting rid of a cursed voodoo doll yourself, you may take advantage of our cursed voodoo doll disposal service. Get rid of your cursed voodoo doll by wrapping it in a white cloth, sprinkling it with salt, and mailing it with a $25.00 cash or check disposal fee to the address below. Please include a description of where the doll was found and as much background information as possible such as why you believe the doll is cursed and why you want to dispose of it.